The ONLY Prohibition Museum in the United States! Relive the intoxicating history of Temperance and Prohibition from the “Alcohol Argument” between the Wets and the Dries to the Unintended Consequences of the 18th Amendment and enjoy a cocktail at our Speakeasy. The American Prohibition Museum located in Savannah's City Market is the first and only museum in the United States dedicated to the history of Prohibition. While here, guests will travel back in time to the early 1900s, as anti-alcohol rallies swept the nation and the “booze problem” was pushed to the fore-front of American politics. The true story of America’s struggle with the liquor question, the passing of the 18th Amendment, its impact on the nation, and the far-reaching consequences of the thirteen years of Prohibition all come to life within the walls of the American Prohibition Museum. Through immersive displays and state-of-the-art dioramas, museum goers will learn how Prohibition and Temperance shaped thinking and culture for more than two hundred years of American history. Package your visit to the Prohibition Museum with one of our authentic Prohibition Era cocktails! We use only handcrafted bitters and fresh squeezed juices. 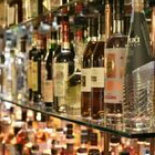 Mid-shelf liquors create a smooth drinking experience. Sip away while learning the history of the cocktail you are enjoying. Enjoy this $2 discount from the at-the-bar price when you purchase this pacakge. Finish off your time at the American Prohibition Museum by enjoying a cocktail and learning the history of the drinks in our Speakeasy from our highly-trained and knowledgeable bartenders while listening to classic jazz music. 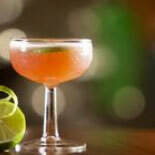 Choose from 15 different 1920's authentic drinks made with fresh squeezed juices and high-grade hooch. Experience this one-of-a-kind attraction and enjoy our signature cocktails when you visit Savannah! Get your eTickets now for the American Prohibition Museum and Cocktail Package. Learn history the fun way! Aug 1- March 31: 10:00am to 5:00pm with last admittance at 4:15pm; (Closed St Patrick's Day). April 12th-closing at 4:15pm with last entry at 3:30pm. 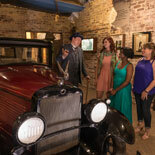 Guests of all ages are allowed in the museum during all operating hours, but photo ID is required at the door to receive a wristband for admittance to the Speakeasy. Guests under the age of 21 are not permitted in the Speakeasy. The American Prohibition Museum is located within City Market of Downtown Savannah between Franklin Square and Ellis Square on Saint Julian Street. It is three blocks south from Bay Street and two blocks north from Broughton Street. Get off at Stop 7 for Old Town Trolley Tours of Savannah. Franklin Square and Ellis Square. Metered parking is available on street. Free parking is offered through Old Town Trolley Tours with a trolley ticket purchase. Must be 21 for this package.